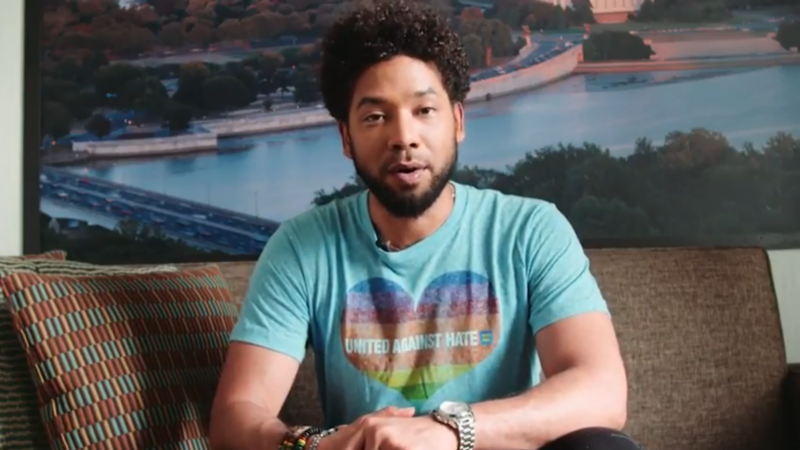 This morning brought breaking news that longtime LGBTQ advocate & friend of HRC, Jussie Smollett, was the victim of a possible hate crime attack in which racist, homophobic slurs were hurled as he was reportedly beaten overnight in Chicago. HRC has reached out to Jussie Smollett as well as his colleagues at FOX to offer support, and is in touch with the FBI and Chicago Police Department to ensure the incident is fully and thoroughly investigated and that they will hold the perpetrators accountable . Last year, the Federal Bureau of Investigation released hate crime statistics for 2017 revealing a disturbing increase of 17 percent in reported hate crimes from the previous year. In 2017, 7,175 hate crime incidents were reported, 1,130 of which were based on sexual orientation bias and 119 on gender identity bias. These numbers reflect a five percent increase in reporting of hate crimes motivated by sexual orientation bias, and a four percent decrease in reporting of hate crimes motivated by gender identity bias. Smollett joined HRC’s Equality Rocks campaign last year, a series sparking conversations about love, fairness and equality around the globe. In April 2018, Smollett introduced Queer Eye host Karamo Brown, presenting him with the HRC Visibility Award at the Houston Gala.